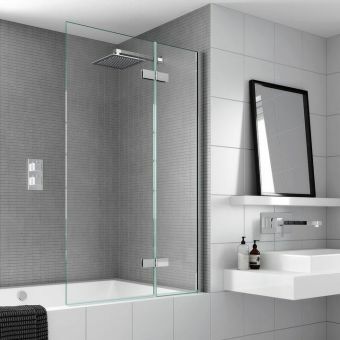 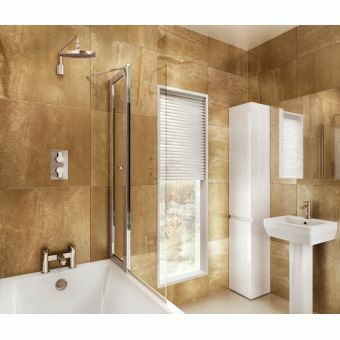 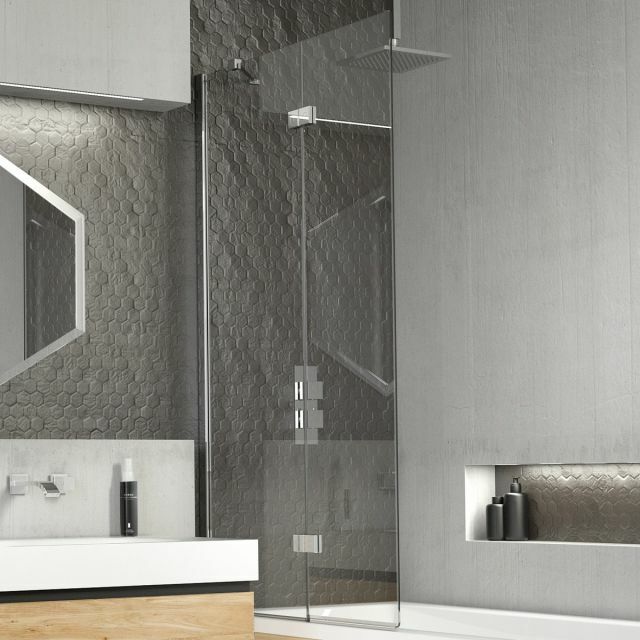 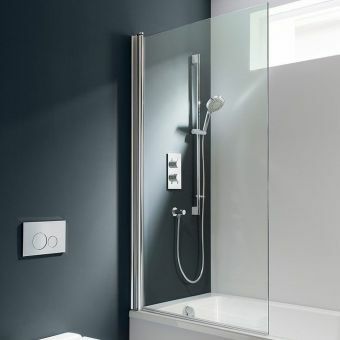 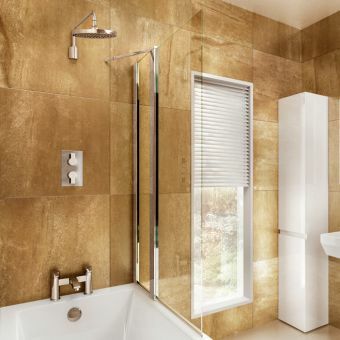 With the Kudos Inspire 2 Panel Bath Screen, your bath will become your shower tray and you will then have the best of two worlds, a bath and a shower. 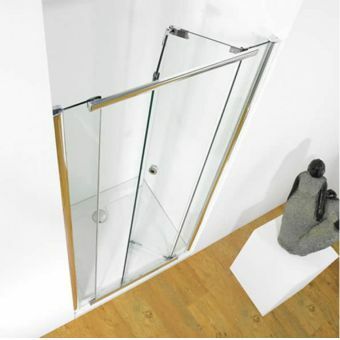 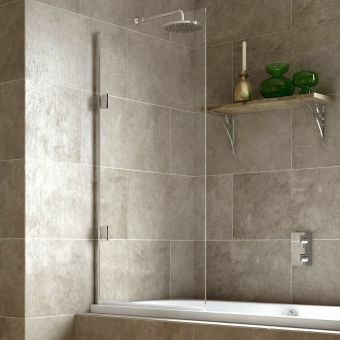 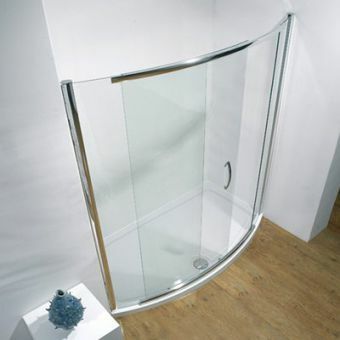 The 875 x 1500 mm dimensions of this bath screen will fit most baths nicely. 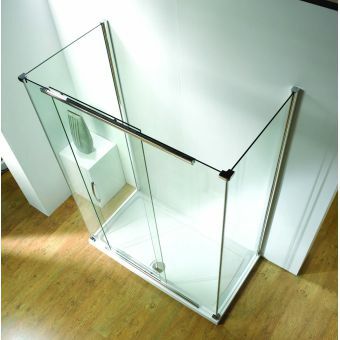 The fixed panel measure 500 mm, while the folding panel is 375 mm. 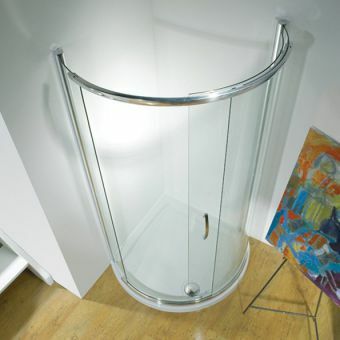 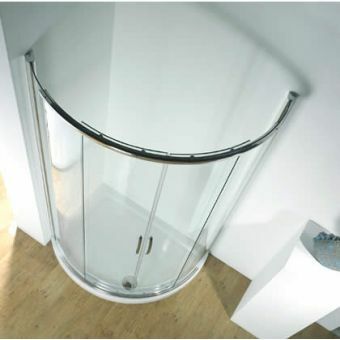 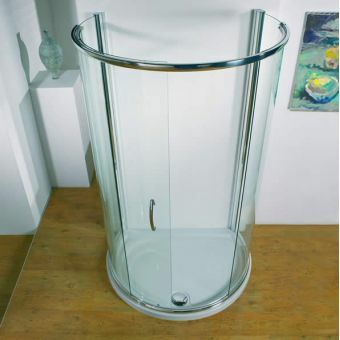 This Kudos bath screen has, as a safety feature, a curved bottom edge. 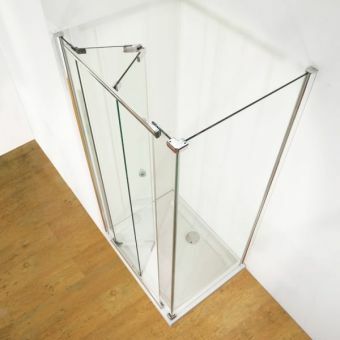 This provides a key safety element to baths that may be slippery and cramped. 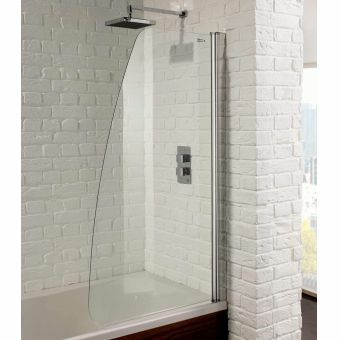 You'll feel secure when using this bath screen. 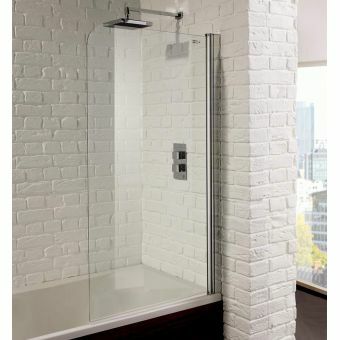 For added installation and usage convenience. 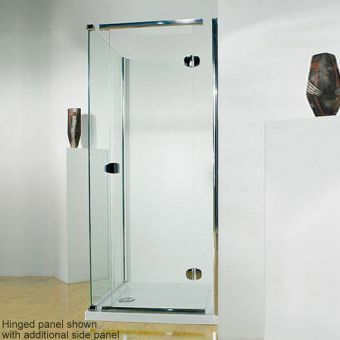 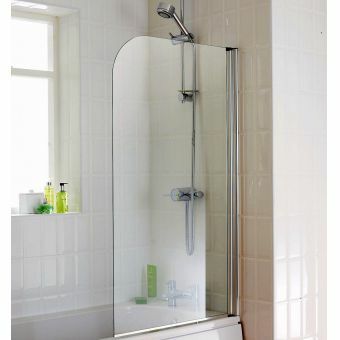 Add this stylish dual panel bath screen to your bathroom space and you will instantly update its look.